Cycling and the weather; the endless worry of a cyclist. Finding those precious hours of optimum (or just about acceptable) conditions to get out and feel the sensation of speed. The effortless tail wind, flattering your ability, on that sun soaked morning before returning home to errands and reality. Weather can make your day, or break your sprit. If you’ve ever had to change gear with the other hand because your fingers have stopped working, numbed through cold and rain, then you’ll know how important it is to be prepared for what the weather has in store. When I get a new computer or phone, the first thing I do is bookmark my favourite weather website or two, as checking the weather has become an essential part of my cycling lifestyle. This winter in particular where the temperature can swing from 12 degrees one night to 2 degrees Celsius the next has made it essential to know what kit I’ll need to ride the next day. I ride my bike nearly everyday, commuting all year round, in all weathers, and also apparently riding for fun. When I first started commuting I would use the weather forecast as an excuse to skip a few days on the bike and take the car. Usually it was rain, then I managed to get into a habit of avoiding strong wind too. In the end I got pretty good at finding a reason not to ride but would often get stuck in traffic on the way home and regret my decision. I read an article once that stated (something along the lines of) “In the UK if you commute every week day you will only get rained on, on average five times a year”. The article reasoned that though it may rain on many days, it’s only the rain occurring during your commuting time that will really be unpleasant, and that on average is only going to happen a handful of times. This simple logic, did actually change my outlook, it put a positive spin on the weather forecast, and made me look in more detail at not just if, but when it might rain. So with my new quest to avoid these five times a year I would get rained on; I set out armed with weather forecasts. Each time I got it wrong and got wet I ticked off one of the five, meaning one less soaking due for that year (more positive thinking). That is until it went way past five, and the theory was disproved. It wasn’t all bad though, I did learn something very important: Rain is not that bad. I sweat a certain amount when I cycle, so for the level of rain to exceed the level of perspiration the rain needs to be pretty hard to even register. Drizzle for example doesn’t count as rain, and putting a waterproof jacket on when your body is already clammy will be worse than most rain. 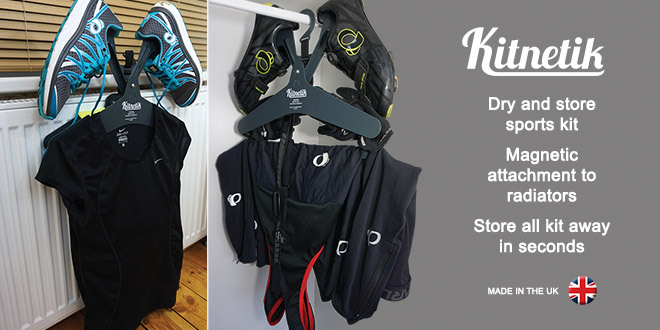 Lycra dries quickly, so wet clothes from the morning will be dry by the afternoon. I have, on a couple of occasions, actually wanted a little rain to cool the relentless heat of some longer foreign touring trips. Most people spend their day to day lives in a controlled environment, moving from a central heated house, into an air conditioned vehicle, before spending most of the day in a heated/air conditioned office. It is not uncommon for many people to then drive to a gym and exercise within the carefully controlled environment. The seasons come and go, the storms, the sun, the rain, and for many there is no difference to the routine. The temperature is kept the same, the artificial light filling in for the shorter days so you would barely notice. Twelve months of the year, avoiding rain, dark and cold. I totally understand the appeal, it’s warm for a start. But does it not feel like we are lacking something if we do not fully experience the seasons? I’m not talking about making yourself miserable or getting hyperthermia, I’m talking about embracing the seasons, taking the weather as it comes, being prepared and dressing appropriately. Seeing the transformations and enjoying being witness to the process. Being out in the elements everyday, body warm through exercise, breath visible in the cold air, sweat dripping; senses filled with sights, sounds and subtle smells of damp roads and the cut grass of summer. Autumn is by far my favourite season to commute through; cycling in at sunrise, and home at sunset. The long shadows and golden light adding intensity to the already vibrant colours of the falling leaves. The temperatures are also perfect; not too hot, not to cold. No sweat stinging your eyes like in summer, and no frozen fingertips like winter. I’m not about to get all hippy about it, but there a certain satisfaction to feeling more connected to nature, to observe the trees and fields, or even just the park you cycle past as the seasons pass. From the first leaf buds and blossom, through the insects in the eyes/teeth of summer right through to frozen twigs. There are many “Primitive Trends” (by which I mean going back to what we evolved to do) that have gained in popularity recently, eating like a caveman (Paleo diet), and the old barefoot running thing from a few years ago. Does cycling in all weathers and all seasons fall under this banner? Well probably not, but I know which one I’ll keep doing for years to come. Cycling, I love it. The seasons; I see them change a little every day. The weather; I feel the changing wind in my legs, can accurately tell the winter temperatures by the way it bites my face, and have started to embrace the rain (as long as I’m prepared for it!). Nice piece. Cyclists check the weather more than sailors. And on occasion get wetter too. It’s certainly been a wet year in the UK but as you say, a little rain beats commuting by any other means. Until the hover board is invented of course. Yup, I obsessively check the weather several times a day. Funny to think that I never used to check it at all in the pre-bike stage of my life. You folks over in the UK are getting crazy wind! Safe riding to you. Yeah we’ve not had much snow, but more than enough wind and rain. Safe riding to you too.